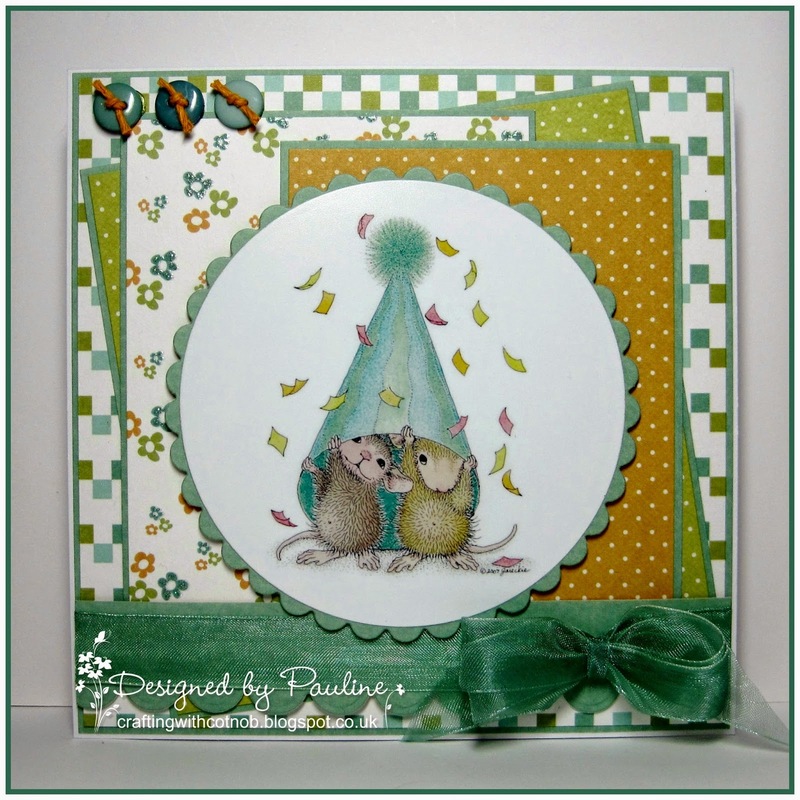 House-Mouse & Friends Monday Challenge: New Year, New Challenge HMFMC185-Anything Goes with an Optional Sketch! New Year, New Challenge HMFMC185-Anything Goes with an Optional Sketch! We're super excited you are back to HMFMC again! As promised, we plan to make 2015 our best year yet! To kick-start it, we're surprising our players by saying that we are adding (three), yes, that's right, 3 New DT Members to our Mousey Family. Isn't that fun and exciting? We will be sending special invites to those three Lucky DT Entrants to come join our Mousey Family... so please stay tuned and be on the lookout for an email this week! Before moving along with details and the new challenge, we must stop to thank all of you who submitted entries into 2014's final Challenge #HMFMC184. WOW! So much amazing talent! This Mousey Team has been busy browsing and drooling over your mega-gorgeous work to choose the lucky winners. (a super tough job and we wish we could give all of you a fabulous prize, but there could only be 5 winners). 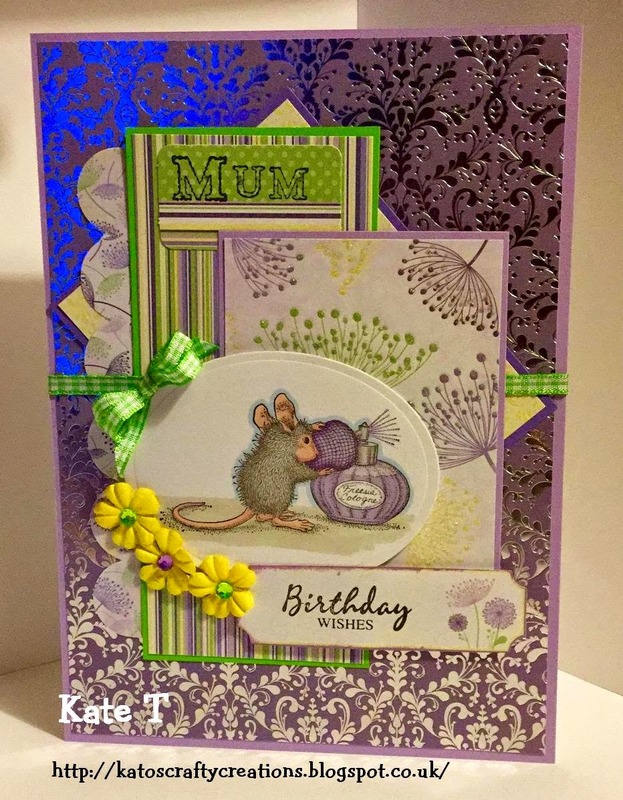 Come PLAY ALONG with us and enter your projects using stamps, CD images or decoupage by House-Mouse Designs. 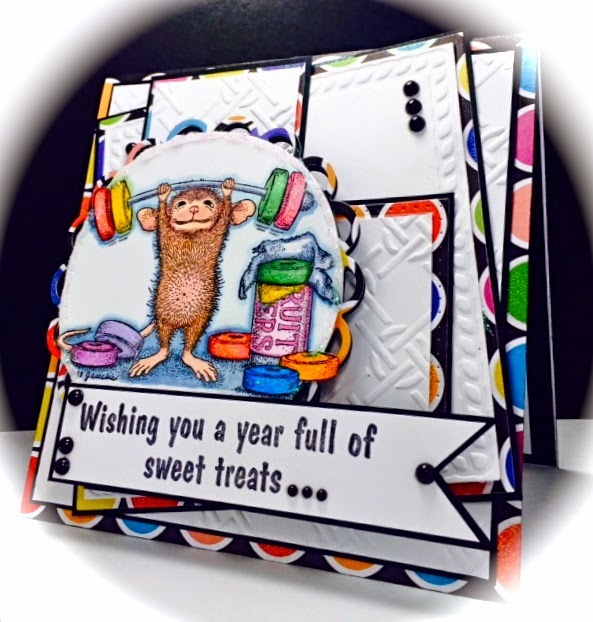 Judy is generously offering the winner "A surprise package of Pizzazz Aplenty" embellishments worth $15.00"
Since this is our Very First Challenge of 2015, our Mousey Team is kicking it off by giving away this Yummy CANDY to one very Lucky Player who enters the challenge and becomes a follower. 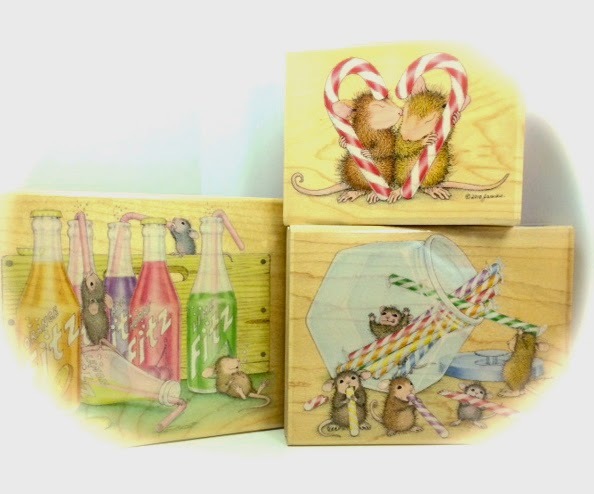 This fabulous CANDY includes three, (brand new), adorable House-Mouse Designs, Wooden Rubber Stamps, by Stampabilities!! A big thank you and farewell to our fabulous Guest Designers, Jean Chaney and Snoopy who contributed such gorgeous work during November and December. We would also like to give a warm welcome to two new and very talented Guest Designers joining us for the months of January and February, 2015; Crafty Natalie and Kate T.
Thank you Teamies for your stunning contributions. Create a project following the Sketch, OR, an Anything Goes as alternate take. 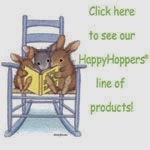 Your Crafty project must feature images from House-Mouse Designs®. 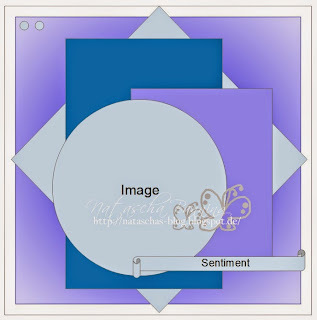 You can use Stamps, images from CD collections and/or Decoupage Sheets. Enter using the inlinkz tool found at the bottom of this post. 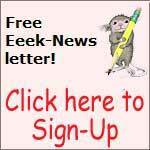 Reference Challenge CODE HMFMC185, and link your work BACK to this Blog. Please submit your entries by Midnight EST, Saturday, January 17th, 2015. We cant wait to see your fabulous take on the Sketch and/or Anything Goes entries! Good Luck to you, and thank you for helping us kick off the New Year on a high note! have fun with the prizes! unfortunalty I do not have the time to play along last month. I hope that I can make it on this time. Stunning cards from the team. 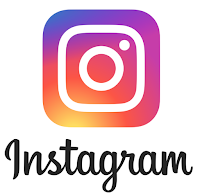 beautiful images are used. good luck! and all the best wishes for the new year. Congratulations winners! A big thank you to all the team for great inspiration, as always. One of my resolutions this year is to make sure I get back to my fave feel good challenge and stick with it. A nice anything goes challenge is just what I need to get me back in the swing of things. Thanks you DT that I'm one of them. DT gorgeous cards as always. Congratulations to all the winners! Your cards were beautiful! Well done to all the winners, you lucky peeps !! Fantastic creations by the team and a fab sketch ! !